In a surprisingly fast sequence of events, Paraguay’s Senate voted to remove President Fernando Lugo from power pushing the country into the most serious political crisis of the last decade. While Mr. Lugo, a former Catholic bishop, accepted the results of a hurriedly prearranged impeachment, he described the events as a “coup d’état express”. The impeachment and the events leading up to it underscore the class politics and enormous democratic challenges that Paraguay still struggles with after a 35-year dictatorship (1954-1989) and six decades of one-party rule by the Colorado Party. The “coup d’etat express” began when the House of Representatives of the Paraguayan Congress decided on June 21 to start impeachment proceedings against President Lugo. Within 24 hours, the Senate managed to assemble its members, read the accusations and put Lugo on trial. The Senate also passed a resolution that same day that obliged President Lugo to present a two-hour defence the following day. Senators dismissed Lugo’s request for more time to prepare his legal defence and after an impeachment trial that lasted less than 5 hours, a majority of the Senate voted to remove him from office (39 votes in favor, 4 against and 2 members absent). After the decision, Vice President Federico Franco, a member of the Liberal Party, joined forces with their historical opponent, the Colorado Party, to oust Lugo. With the same expediency as the vote, Franco was quickly sworn in as the country’s new leader that same day. Congress actions have sparked an intense debate across the region, highlighting the fragility of democratic institutions in countries with a long history of dictatorships. Argentina’s President Cristina Fernandez has called the situation a political coup, Cuba and Ecuador called it a “parliamentary coup d’etat”, Chile said that “[Paraguay] did not comply with the minimum standards of due process”, while Colombia stated it was an abuse of legal procedures. 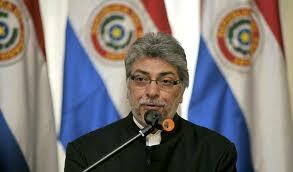 The situation has led several Latin American governments to increase pressure on Paraguay. The South American leading trade block, Mercosur, has decided to suspend Paraguay’s participation from the next presidential summit to be held in Argentina this coming Thursday. Argentina, Ecuador and Venezuela have withdrawn their ambassadors from the country while Brazil, Uruguay, Chile, Colombia, Peru, the Dominican Republic and Mexico have recalled theirs for consultation. Hugo Chavez has also announced the halting of oil to Paraguay, while the Organization of American States (OAS) and Union of South American Nations (UNASUR) are calling for urgent sessions to discuss the matters. The ousting of Lugo follows a controversial skirmish June 15 in the Paraguayan town of Curuguaty that left six police officers and 11 landless peasant farmers dead. The victims were part of a group of 150 small farmers that had taken over a property belonging to a former Colorado senator and close ally to former dictator Stroessner. Lugo’s opponents blamed him for the violence as accusations flew on both sides. Colorado politicians claim the police were ambushed and the farmers were armed and trained by leftist groups close to Lugo. The farmers claim that they were attacked by the police. The confrontation took place after a series of clashes between the police and farmers over land disputes, illustrating Paraguay’s enduring struggle and horrible record on land inequality in Latin America, which reached its worst moments during Stroessners’s dictatorship. Stroessner allocated land as patronage, allowing Colorado cronies to amass large amounts of properties. The cronyism was so bad that today 80% of Paraguay’s arable land is held by 1% of the population, according to the National Federation of Campesinos (FNC). Another factor enflaming the tensions among farmers is the commodity boom. Paraguay is the fourth largest soybean exporter, but small peasants have had little or no access to the wealth pouring into the country. Lugo was elected in 2008, ending six decades of Colorado Party rule. He campaigned for the needs of the poor and promised land reforms and land for the almost 87,000 landless families. As head of a coalition government he presented himself as a moderate, but suspicions among the traditional parties that he was a leftist radical caused fissures in the coalition soon after the election. His presidency has been tainted by paternity scandals, admitting he fathered two children while he was a Catholic bishop. The Colorado Party, which controls congress, alleged that he was attempting to politicize the military and evade Congress in making international treaties. After accepting the results of the trial, Lugo made a surprising appearance on public television on June 23, where he denounced the events as a “parliamentary coup against democracy and citizenry.” On June 24 he stepped up his attack, establishing an alternative government and vowing to undermine the newly appointed Paraguayan leaders at the upcoming regional summit of the Mercosur. Later that night, his former Chief of Staff, Miguel Angel Lopez Perito, called for a “resistance movement”. The crisis has left the Paraguayan public extremely divided. While Lugo supporters protest a “parliamentary coup”, his opponents claim that in no way was the constitution breached. In addition, there is a part of the population that may disagree with Lugo’s politics and actions, but also disagrees with the way the impeachment was conducted. The Paraguayan constitution provides Congress with the power to conduct an impeachment, but it does not lay down the rules of the procedures to be followed during an impeachment process. The way the international community decides to label the situation will have deep implications for the future of Paraguay. Will the country remain a member of Mercosur, UNASUR and the OAS? Will Argentina and Brazil, the countries with the most political and economic leverage over Paraguay, cut diplomatic relations with the country? Will countries from the region impose sanctions? And if so, what will that mean in terms of isolation for Paraguay, a landlocked country that depends on its neighbours for transportation, imports and exports, and also one of the poorest country in the region? And if all of this does happen, how does Paraguay regain its democratic status? The final decision will probably lie in the hands of Brazil, the country’s main trading partner and the largest economy in the region. Brazil’s stance will carry the most weight, but they will most likely seek consensus with Mercosur and other South American nations to prevent acting unilaterally. Whether a “coup” or not, the process was an obvious affront to the rule of law, an abuse of legal procedures by Congress, and a setback for democracy in South America. Franco, who in his inaugural speech promised to take care of the most pressing social issues such as poverty and land reform, has a difficult task ahead. With only nine months remaining in power, he will most likely face social unrest. For the time being, the Colorado Party emerges triumphant with the breakdown of the opposition. With or without Lugo, the campesino struggle will continue and the likelihood of another social upheaval in Paraguay will remain until the underlying land tenure issue is resolved. Paraguay cannot postpone this reality anymore after dragging on for decades. A comprehensive land reform is the only way to prevent future political turmoil, but Paraguayans are very aware that this is a daunting task for any politician.